Professional magician Andy Field can supply outstanding and entertaining magic for your Oxford wedding, party or corporate event. His marvellous magic skills have been used for the BBC drama “Hustle” and he has been S.A.M.S. Close up Magic Champion twice. Former S.A.M.S. Champion of Close up Magic for hire. Mix and mingle magic for wedding and birthday parties. Unite and entertain your guests! A playful character with a medley of magic illusions to surprise and delight! Strong magic to personalise events. Including Abingdon, Banbury, Didcot, Wantage, Witney, Bicester, Henley-on-Thames & Wallingford.  Oxford conjurer Andy Field will use his close up magic to create marvellous memories! Perfect Oxfordshire wedding entertainment experience! – A signed card pushed into a solid bottle! 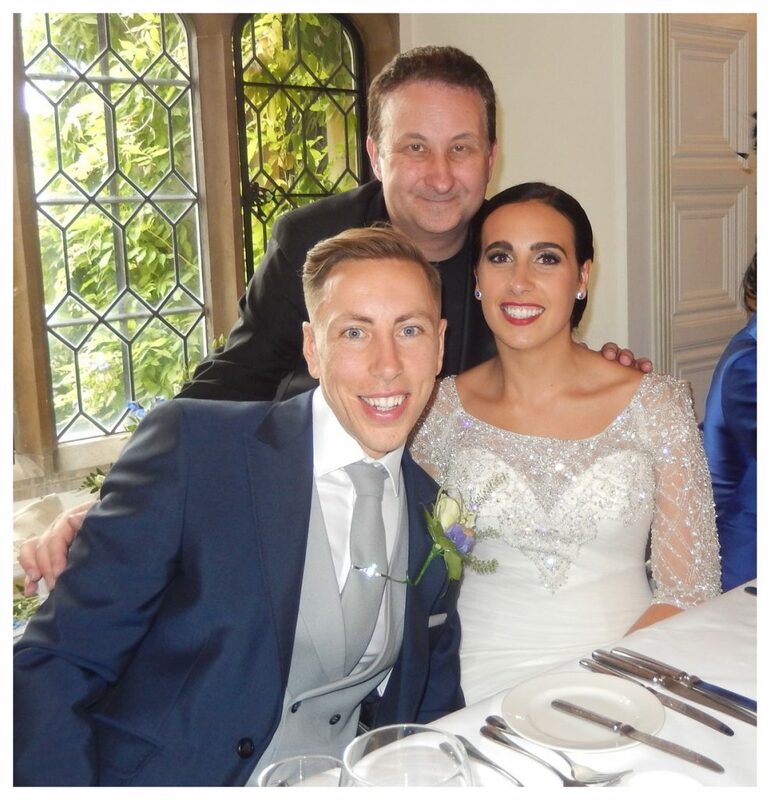 Trusted Oxfordshire wedding magician Andy Field’s professional sleight of hand can be described in three words! Confident, skilled and entertaining! Powerful magic combined with a likeable persona. If you are looking for an unreliable magician to perform poorly presented magic on your big day then Andy is unable to help you! Why settle for second best? Andy wants to take a huge interest in your day making it as successful as possible with his walk about magic! Walk about magic in Oxfordshire to amaze, bamboozle and initiate conversations for first time newcomers! Let him eradicate all those awkward thumb twiddling moments! THE PHOTO SHOOT Let Andy mix and mingle with your family and friends and get them in a happy mood for those wedding pictures! DRINK RECEPTIONS What a great opportunity for Andy to pump up the atmosphere with his walk about close up magic. An opportunity that is too good to pass up! THE EVENING RECEPTION Room turnarounds can disrupt your guests. Moving them about can interrupt the flow. Let Andy perform his close up magic and keep any stagnation at bay! Oxfordshire birthday party Sorcerer Andy thrives on entertaining! His endearing presentations and strong walk about magic are always a hit! He will dynamize the room! The start of your birthday party is where the atmosphere will be at its most vulnerable. Your party guests may be meeting for the first time and not sure what to say. You need an icebreaker! From sleight of hand card tricks to mind reading and other strange magic illusions. Andy will get your guests joined together in no time! What if everyone is already in a party mood? Let Andy take it up another notch! Earn the reputation of being a great host and holding the best Oxfordshire parties among your circle! Oxford Trickster Andy Field’s close up magic. Slick, suspenseful and entertaining! Get your guests relaxed with food and drink. Next get them laughing! Andy knows that once people start laughing and letting go they will continue to do so. This will create a great atmosphere that will make your Oxfordshire wedding or birthday party the hit you want and deserve it to be! Andy uses ice breaking magic to fill any gap moments in your event. From sleight of hand card tricks to money making illusions and everything in between Andy has a trick for everyone! Clever and well plotted presentations. Former S.A.M.S. Table Top Magic Champion. This is the total opposite to walk about magic. Andy has been a S.A.M.S. Champion on two separate occasions for his table top magic illusions. Andy has also done much work on the BBC drama Hustle. Conjuring performed up close and on a table usually involves using playing cards, rope, money, coins and borrowed items such as finger rings. There is no need for your Oxfordshire wedding or party guests to move. Andy will come over to them. Now that is what you call service! Perfect for the head table at a wedding breakfast! Oxford mind reader Andy Field. You would be unwise to miss him! Illusionist Andy thought you might ask about mind reading! Andy also knows you want him to tell you the winning lottery numbers. As it happens he can. Unfortunately not when they are due to fall in though! One certain thing he can predict with certainty is that your guests will have a marvellous time watching and interacting with his mind reading and ESP magic. How on earth? Three borrowed rings linked together. Then un-linked of course! Trickster Andy is very good at interacting and socialising. He will smoothly mix with your guests like clockwork. After learning sleight of hand for many years the next step for a professional magician is to present his magic effectively under social conditions. There is no text book to learn this. It comes with experience gained over much performance time with people from all walks of life! 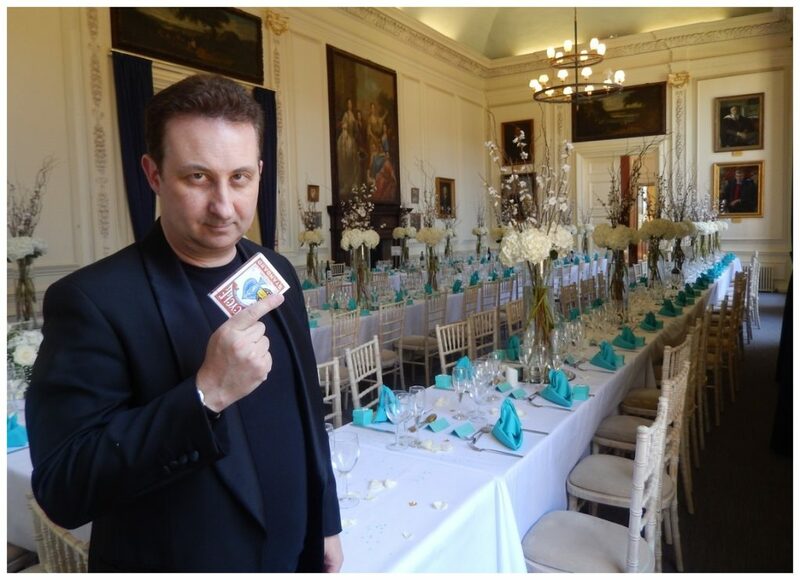 Both close up walk around magic and table top magic will both work exceptionally well at your Oxfordshire corporate event. The two styles are flexible and can have great effect at different junctures of your corporate event. 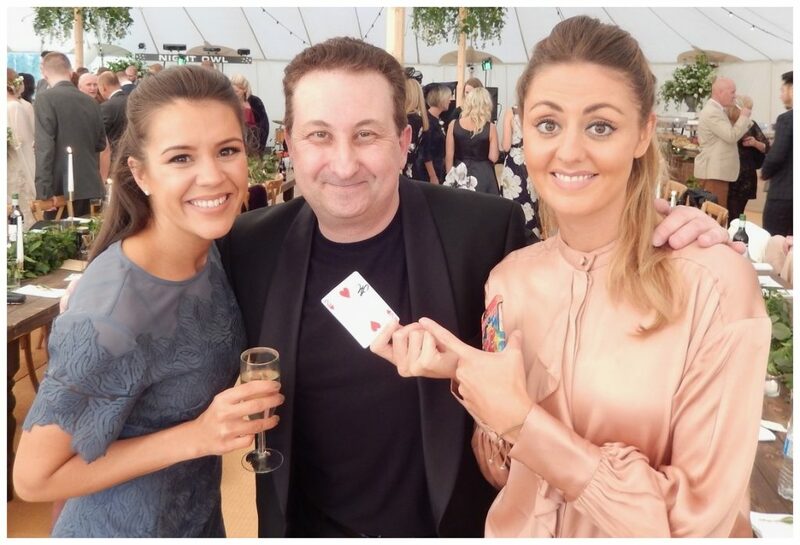 Like all Oxfordshire professional magicians Andy has it in mind to constantly strive for the perfect sleight of hand card trick or magic illusion! He spends a lot time thinking about making his close up magic even more impossible! Take for instance the above video. This is an up to date and modern version of a trick in magic called Card on String. In this version illusionist Andy uses a set of head phones to replace the string. It looks totally impossible! Andy has nearly six million YouTube views for his magic. These mainly consist of walk about street magic and sleight of hand card tricks for his teenage followers. 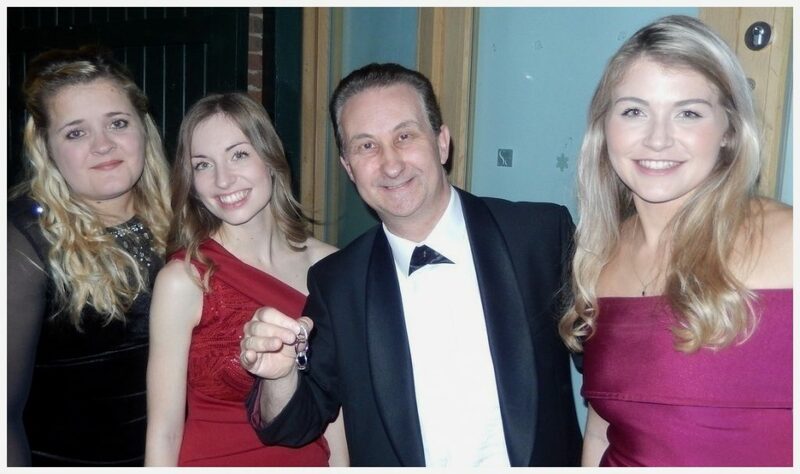 So Oxfordshire magician Andy is personable. He has great magic tricks. What does this mean for your event? Beginning of the evening reception. 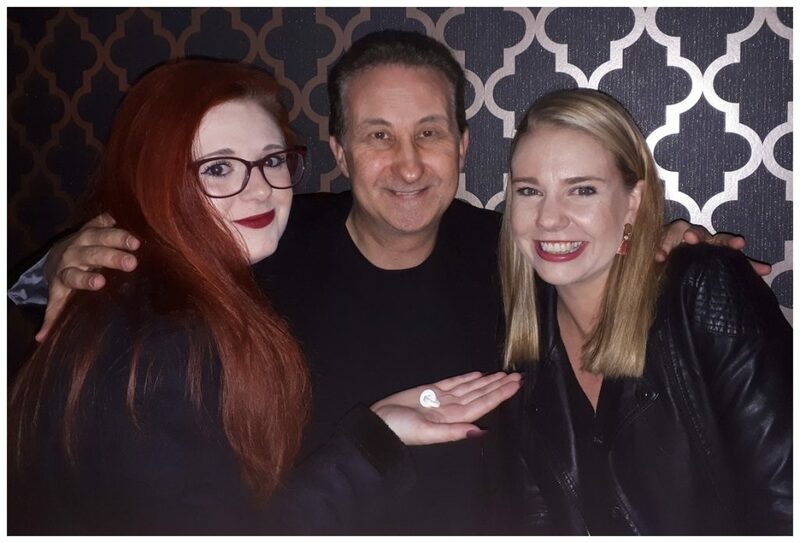 Andy’s close up magic or table top magic is a marvellous way to entertain at any event you can think of and very flexible too! In fact it works for all ages both young and senior. 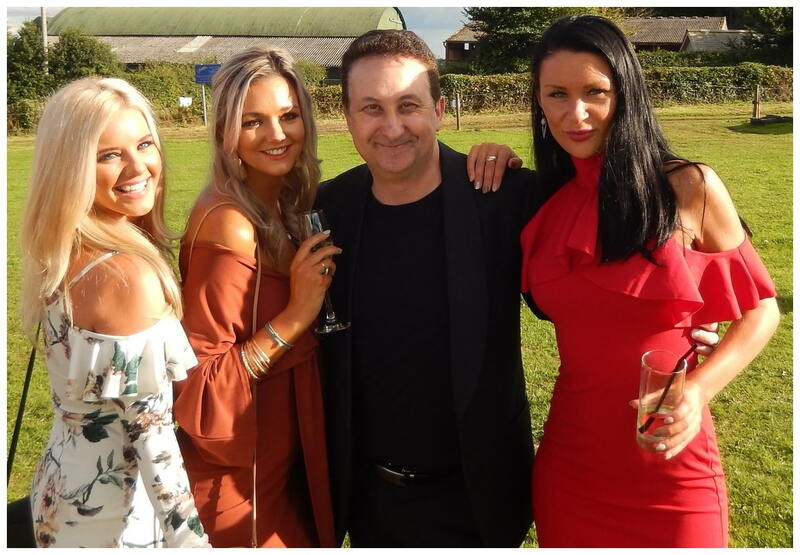 This makes him perfect for wedding anniversaries, corporate functions, birthday parties, weddings, hen nights, casino nights, charity nights and private dinners. Andy’s act is fun, entertaining, flexible and pliable. Plus he is certainly able to fill any down time or lull moments. 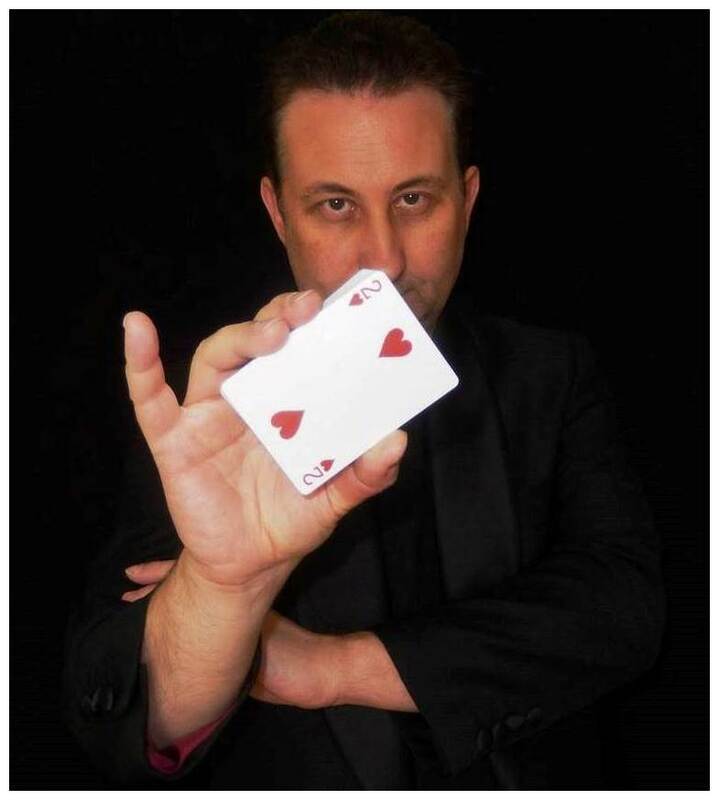 Andy will use his magic, his skills and his experience to make your next event shine. When Hiring Andy it means you will not be paying agency fees on top of his quote. Points to consider when you are asking for a quote from Andy. First of all you are certainly not paying for his travel expenses. You are paying for his skill, know-how and showmanship skills. Think of Andy as a guest that you need are inviting along to your event. You would tell them the time, date, venue address, type of event and similar details. To make the experience of obtaining a quote very easy. Andy has a contact form. Simply fill this out and in return you will obtain your written quote along with some obliging details. Another point to consider is to ask your entertainer if they are putting their price up in busy months such as summer and Christmas. Andy never does this. Do not panic if Andy is not available for your wedding or birthday party. He has many professional magical friends in the industry. Some of them are world class who command a peak fee. Some of them are more affordable. 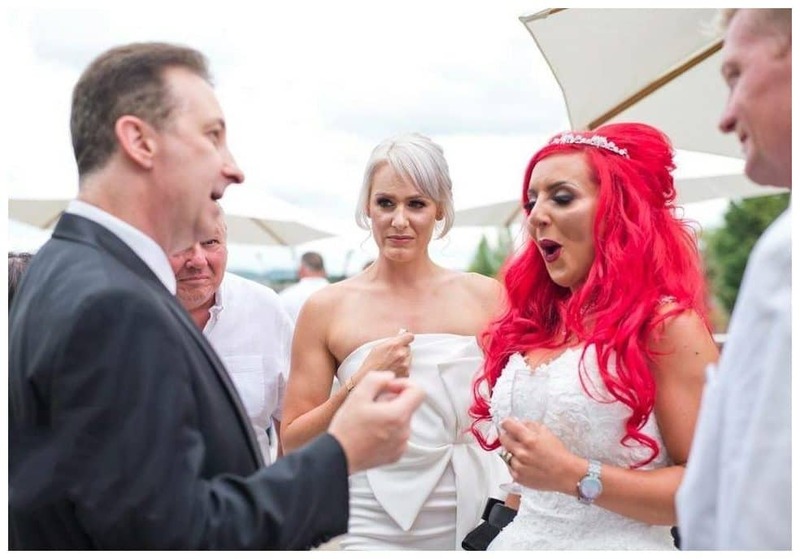 Either way you will secure an excellent and professional magician to make your event memorable. Here are a few tips to make sure you obtain a solid and reliable Oxford magic entertainer and performer with experience. Experience and knowledge are king. Genuine reviews are a must. Make sure they have at least one live videos performance on their website for you to see. Ask to meet them in person for an informal chat. If they have pictures make sure they look like they were taken at professional event and not in their own home. If you are over eighteen and looking to increase your confidence or hand co-ordination skills then magic could be very beneficial to you. There is no bigger buzz than the felling of entertaining and audience with cool magic. Find out more.